Bangkok is a city that awakens the senses. It is vibrant, colourful, noisy, bustling, hectic, hot, young and old, rich and poor; an array of interesting sights and smells. Bankok has topped the 2017 list in the world's most popular tourist destinations, and that's because of all the incredible things the city has to offer. Amazing culture and temples, friendly people, the best street food, world-class shopping and sky bars. The Grand Palace is the number one must-do in Bangkok. It has been the official residence of the Kings of Siam since 1782 and is a complex of beautiful buildings and temples, including the famous Emerald Buddha. The Grand Palace hosts some of the most sacred places of Thailand and is considered to be the heart of Bangkok. Wat Pho is my favourite place in Bangkok. Founded in the 16th Century, it is the capital city's largest and oldest temple. It was the first open university of Thailand, where courses in traditional medicine and the first school of massage were born. It is best known for the golden Statue of the Reclining Buddha, the largest in Thailand at 46 metres long and 15 metres high. 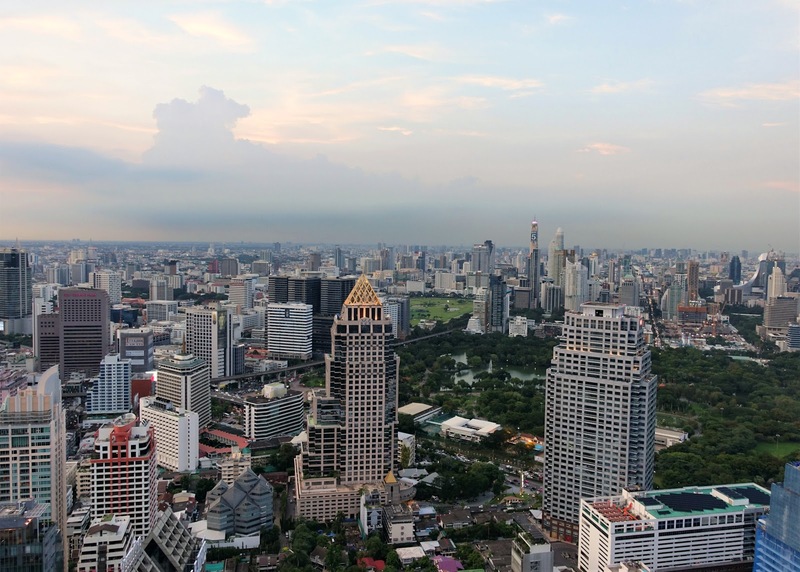 Bangkok is famous for its incredible skyline and rooftop bars, and there is no shortage of ones to choose from. Sky Bar is one of the most popular thanks to the movie The Hangover. Other great ones to choose include: Above Eleven Bar, Octave, Vertigo Bar, Attitude and Red Sky Bar. Beware the prices are quite steep (standard western prices) but you are paying for the incredible view and the service is top quality. As a tip, most sky bars have a dress code and head there just before sunset to watch the city lights come to life. Bangkok is known to have some of the very best and cheapest street food in the world. The majority of locals don't cook at home, they eat street food and either take away or sit down to eat at little popup tables and chairs. At night especially the streets come to life with food carts of various delectable Thai cuisines, from Pad Thai to fried rice, curries, grilled meats and soups. Get a dose of the local culture by joining in. As a tip, go to carts that have a lot of people hanging around. Higher turnover means fresher food and will most definitely be delicious. If you're still worried about eating meat - go vegetarian. I quite often opted for vegetarian Pad Thais and curries, they are still just as good. Here's a fun fact - the number one pastime of the locals of Bangkok is: shopping! The malls in Bangkok are among the world's best, they carry all the major brand names and have an endless variety of shops to suit all budgets. They also have local food courts and being air-conditioned, it is a great way to get relief from the outside heat. There's the MBK Center, Siam Center, CentralWorld, Siam Discovery, Platinum Fashion Mall and Siam Paragon just to name a few. Being a rather large capital city in Southeast Asia, it should come as no surprise that Bangkok is brimming with the unexpected. From a Unicorn Cafe and Little Zoo Cafe (with real exotic animals) to a condom-themed restaurant to Ladyboy shows, there is something fun for everyone, you don't have to look hard to find it. While you're in Bangkok don't miss getting a traditional Thai massage. You'll be able to find one as easily as a 7-Eleven and they will usually cost no more than 250 Baht ($7.50 US) for one hour. Thai massage is an ancient healing system combining acupressure and stretching techniques. It's not for the faint-hearted (it can feel like you have volunteered to be tortured at times) but you feel energised and like a brand new person afterwards. You can always ask the masseuse prior to go easy on you! The Chatuchak Weekend Market is the largest market in Asia and you could easily spend an entire day getting lost amongst the 8000 stalls. Open every Saturday and Sunday, try your hand at bartering for everything from clothing, souvenirs and jewellery to homeware and furniture. There are plenty of food and drink options to keep you fuelled while you shop. 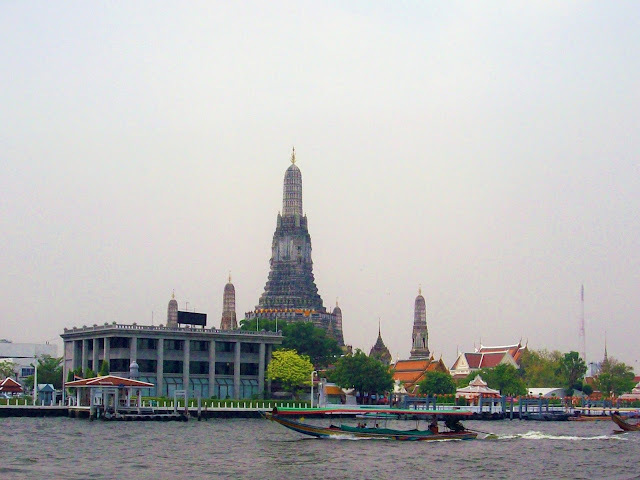 Wat Arun, also known as the Temple of Dawn, is another spectacular temple highly worth visiting. Located riverside, almost directly opposite Wat Pho, the colourfully decorated spires stands majestically over the water. It is a landmark known from many postcards and is particularly iconic to photograph during a sunrise or sunset. Bangkok’s canals have a rich history and are often referred to as the main artery of the nation. The scenic Chao Phraya River flows through the centre of Bangkok and hopping on one of the many river boats or ferries is a fantastic way to see the nearby famous and historical attractions. It is a convenient transportation system to reach Wat Arun, Wat Pho and the Grand Palace in hop on, hop off style and there are plenty of longer sightseeing cruises on offer in traditional boats for both day and night. 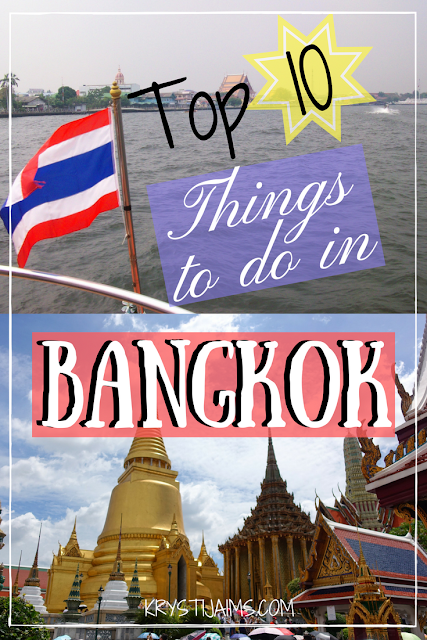 There is of course so much more to Bangkok with countless amazing attractions and things to do. These ten are my top recommendations I would suggest to a friend visiting for their very first time. I hope if you're going there yourself you have some ideas and inspiration for what to do. Embrace the city in all it's craziness and have an amazing time! Unicorn Cafe! That sounds amazing. I would love love to see all these places. Sightseeing by boat has been on my wishlist for ages. And the temples sound beautiful! Oh wow, this looks like a wonderful place to visit! The architecture is gorgeous and the food looks amazing! I've never been to Bangkok and I have always wanted to. I think it's awesome that you shared these things to do! It's really beautiful out there. Bangkok looks like such an incredible place. I would love to visit someday soon! These photos are stunning. You are seriously making me want to go pack my backs and fly today. I love Thailand so much, it is one of my favorite places in the entire world, and I'm always longing to go back! This was an awesome list. I've never been to Bangkok, but this truly makes it look like a place I'd really enjoy. My sweetie and I would love to get Thai massages. We both love Thai food. And I absolutely would not miss the Sky Bar. Thanks for sharing! I am in love with all of your photos. I really need to plan a trip here soon. Yay! I am going to Bangkok in December and these pics tell me that I chose a right destination for holiday. I love the pics you've shared! Bangkok is so famous for being a shoppers prime spot and reading it here gives me another proof. The rooftop bars would be something I would love to experience myself! !